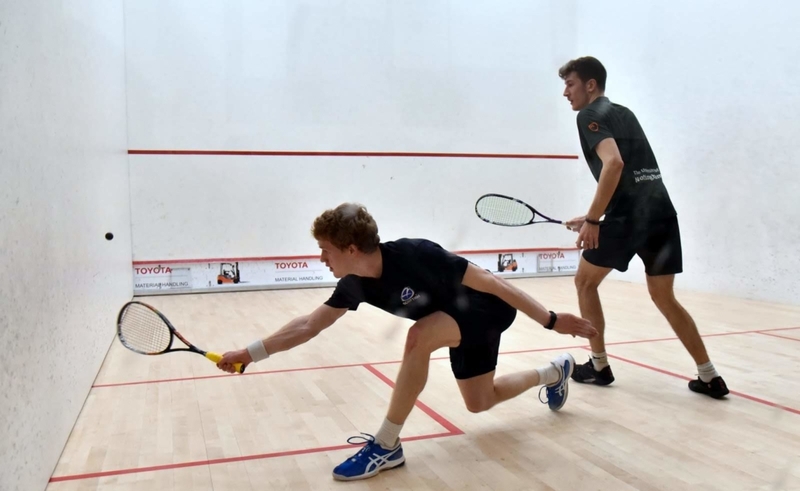 Wildcard entrant Fergus Richards says the return of the Scottish Open to the PSA calendar is a huge boost for the game in Scotland. 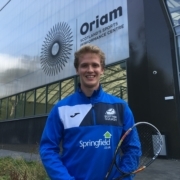 The 23-year-old takes on Finland’s Matias Tuomi in round one of the 2019 Springfield Scottish Squash Open at Oriam; Scotland’s Sports Performance Centre, on Wednesday (April 3) at 1pm. 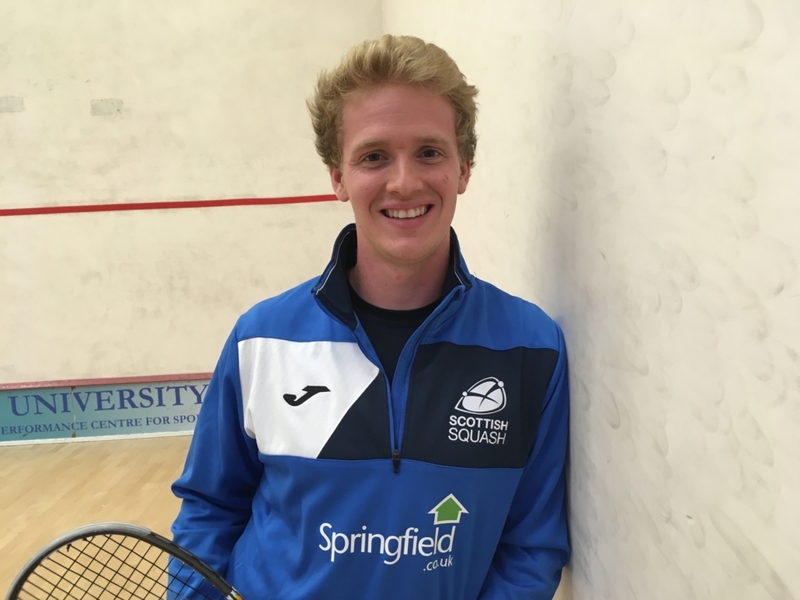 He’s one of four Scots in the men’s draw which includes top seed Alan Clyne, Rory Stewart and Chris Leiper with Alison Thomson (4), Georgia Adderley, Carrie Hallam, Lucy Murchie and Katriona Allen adding home interest to the women’s draw. The tournament, which was last played in 2001, has attracted players from 18 different countries who will be vying for the titles in Edinburgh next week (April 3-7). “I’m really excited about competing and I can’t wait to get out there,” Fergus said. “It’s great for the sport to have the event back in Scotland and the fact it will be held at Oriam in Edinburgh is a real bonus. “Oriam is a great facility and we are very fortunate to train there so the fact it’s being staged at the venue can only be a help to the Scots. He continued: “I’ve been back involved in the Scottish Squash Senior Performance Programme since last August. 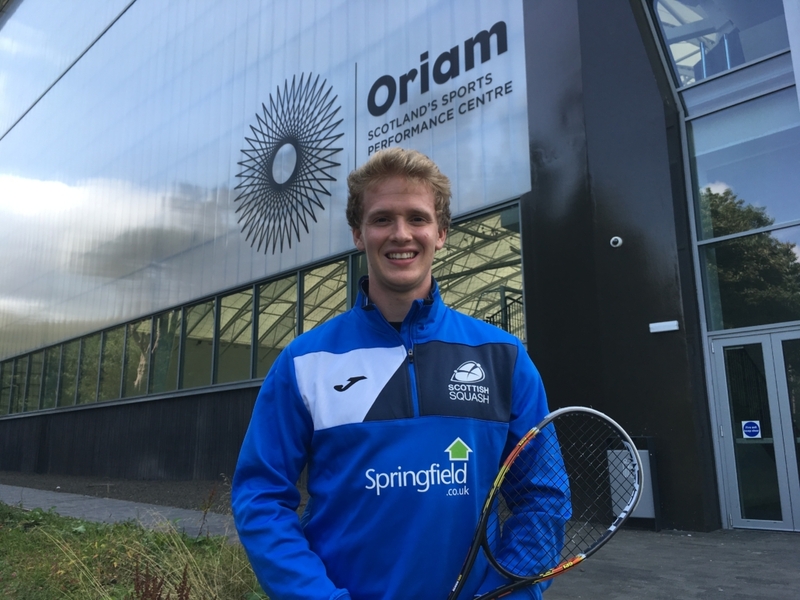 “I’m thankful for all the support I get from them, it’s only doing good things for my squash which is the main thing and I love training with the Scottish players at Oriam, we get on well. “I have been working on my attacking game recently, looking to be more of a threat and sharper, more aggressive on the ball. “It’s just a case of continuing to build on that and I’ve had some good results recently. Richards is sponsored by Springfield Properties and he says the support they are giving him has proved invaluable. He added: “The opportunities their support provides me makes such a massive difference and I can’t thank them enough. 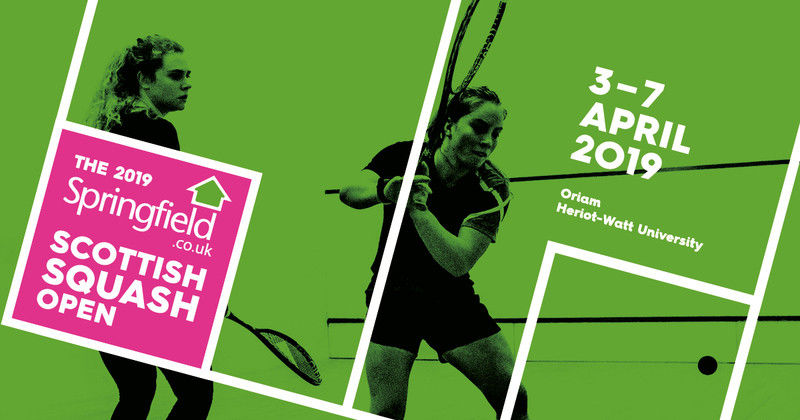 Children and students will be able to attend the Springfield Scottish Squash Open free of charge during rounds 1 and 2 which take place on Wednesday and Thursday (April 3 or 4) at Oriam; Scotland’s Sports Performance Centre. Any child or student wishing to attend on Wednesday or Thursday ( April 3 or 4) is encouraged to turn up at any point when play gets underway at midday.